Coccoon Renewing Under Eye Cream contains exotic algae (Aldavine 5X) is a combination of two exotic green and red algae sourced from UNESCO protected Ouessant islands of France. This cream visibly reduces the sign of ageing and dark circles around the eyes. Use this product everyday morning and evening for maximum results. 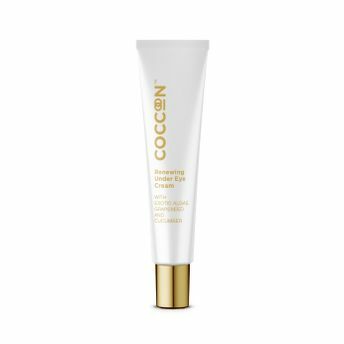 Additional Information : Coccoon is a premium personal care brand that brings to you enriching skin care products formulated using natural ingredients and extracts from across the world, resulting in long-lasting glowing and youthful-looking skin. The brand brings wide variety of multiple benefits, skin care regime products for the lady who juggles between too many priorities and needs to look their best always with minimal skin care products.